At Dorin and Sons Locksmith Indianapolis we take our customers security very serious. Our telephone operators, dispatchers and technicians are dedicated to providing the most efficient service and reasonable prices in the fastest time possible. 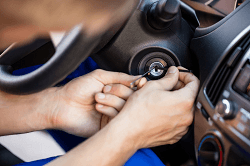 Dorin and Sons Locksmith indianapolis can take care of all your needs ranging from home, business or car lockouts, lock changes, installations or re-keys, safe and vault installments. Our locksmiths want you to be secured by the best technology available at the right price. All our technicians are continuously trained and updated in the latest technologies and techniques. We arrive at your door in the most up to date technology. Your customer satisfaction is very important to us and we are available to you. We are here to serve you all and your locksmith needs. 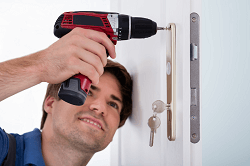 There is nothing the technicians at locksmith Indianapolis can’t or won’t do for you. We are located in the heart of Indianapolis and can be reached at 317-661-4866. We have dozens of technicians all over the city and surrounding areas to be able to get to you in case of emergency or even to fit into a schedule you may have. We look forward to hearing from you and getting you on your way to a more efficiently safe home, business or car. Dorin and Sons Locksmith Indianapolis are licensed and insured specialists! Here at Dorin and Sons Locksmith Indianapolis we specialize in a variety of different services however the main ones happen to be key related. If you’re looking for a new key replacement, re-key, or copy we can help. We can also help with the removal, installation, replacement, or just simply fix your key pads, dead bolts, or knobs. We can create new ignition keys for you as well help you out in case of a lockout. We can help you with any need you may have, big or small. We’re also licensed and fully insured. While looking for a locksmith, most people usually want the same qualities. Someone professional that you can trust, a job done right for a price that wouldn’t be associated with a word like “theft”, within a reasonable time. Here at Dorin and Sons Indianapolis locksmiths we offer just that and so much more. Everyone in the world is aware of the stereotype that comes with being a locksmith but here, we feel you might just change your mind. Our technicians have all been in the field for many years and many have a specialty. Specialties in automotive needs, home security, high security locks and installation, commercial high volume installations. 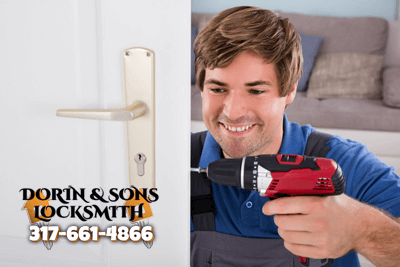 Dorin and Sons Indianapolis Locksmith provides all services ranging from residential needs, commercial installations and repairs, and automotive requests. Dorin and Sons also provide an emergency call out service for lock-out services and impromptu installation requests. Dorin and Sons Indianapolis Locksmith is open! Give our Emergency Locksmith Indianapolis a call today! 317-661-4866. We are located at 525 W Michigan St, Indianapolis, IN 46202. We’d be happy to schedule you an appointment or answer questions for you! Since it has been the era of technological advancements, even four-wheel vehicles are being equipped with a very modern design of transponder keys. This type of keys is not just used to boast of having one of the more high-end gadgets with regards to vehicles. These keys also increase the security features of the vehicle. In the past, it was only car doors that were given attention regarding security. As time passed, a company such as Dorin and Sons Locksmith Indianapolis recognized the need for additional security features for vehicles that are being used by individuals and institutions. If people have any questions, they can call 317-661-4866 and their queries will be answered promptly. © 2018 Dorin and Sons Locksmith. All Rights Reserved.